New H3 Digital Office Sign is Up! Our new Phuket headquarters is nearly finished, last week our sign went up. It’s been a long time building it (we’ve been busy) but it’s finally starting to come together and we expect to be moving into the new office in the early part of next year. We can’t wait to showcase our SMART HOME systems to people including our great home cinema, audio and lighting systems. In the coming year we’ve got lots of exciting news. IKEA have been adding slowly to their off the shelf smart home products gradually over the last few years. They started out offering light bulbs to go into their light fittings (IKEA was at the forefront of the push to LED bulbs over incandescent and fluorescent lights). Then they moved onto offering Zigbee controlled light bulbs and light switches under their TRADFRI in-house brand (These are semi-compatible with Philips Hue with a few minor hacks). 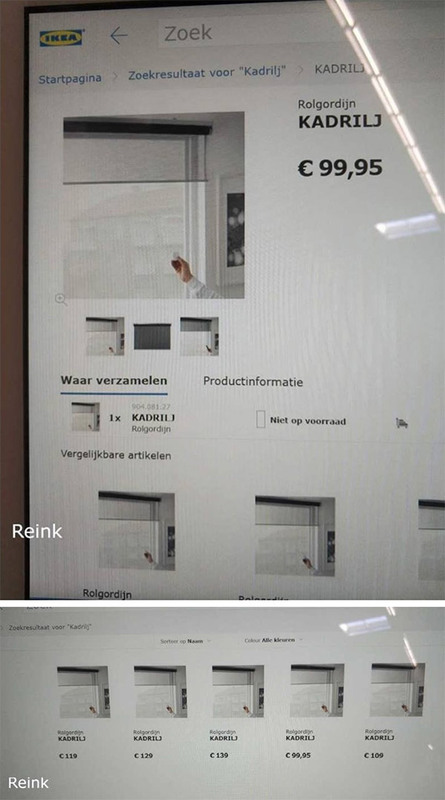 Now it looks like IKEA will be offering up a number of Smart Blinds that should work with Apples Homekit and iPhones and Android devices through an app. These smart blinds will be powered by a lithium ion battery so should be easy to assemble and fit into standard sized windows. Due to launch any day now its great to see more home automation and smart home technology filter out into normal homes. The cute small Sonos One smart speaker, which can be used as part of a surround sound Sonos system as the rear speakers is now available in a number of colours. Originally the SONOS One was only available in Black or White. Now it will also be available in five new colours: Forest Green, Pale Yellow, Soft Pink, Light Grey and Vibrant Red. The Sonos One’s new colours have been available since the 5th November but likely will be a special order for the Thailand market. SONOS multi room sound system, audio now available in Yellow colour. The Sonos One speaker is alexa enabled and ideal for very small rooms, bathrooms or as rear surrounds in a home cinema setup. The Sonos multi room sound system is one of our best sellers in Thailand and now you can (probably) match the colour scheme of your home or villa much better. This week saw us working on our latest Home Cinema in the Amanpuri development near to Surin Beach, I will be showing more of the transformation of this room in a post after it’s complete. 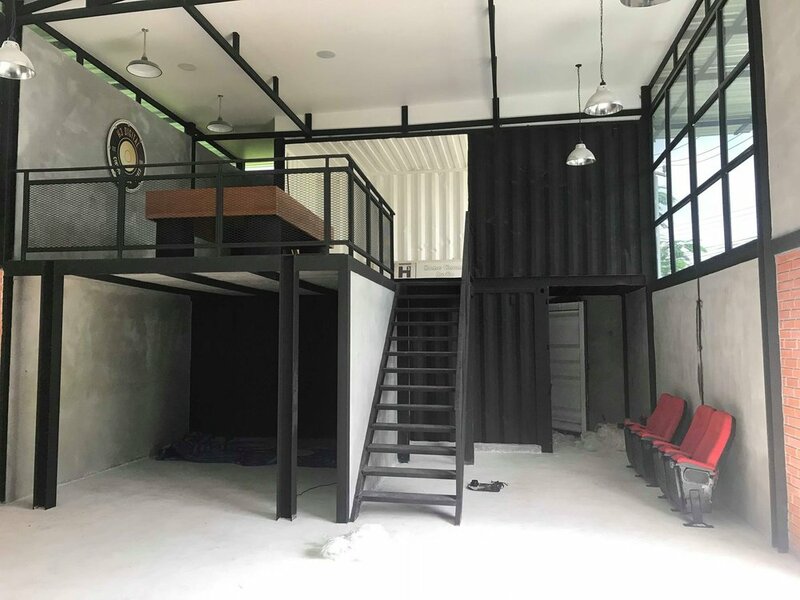 It was previously an unused storage room and as the premier home theatre company here in Thailand we were tasked to transform it into something special. It’s a 4k cinema, with a quite large projector by today’s standards but it’s going to be a bright, punchy and vivid image. The screen is 120” and the 7.2.2.1 surround sound uses in-wall speakers for the Front Left, Right and Centre Speakers, Side and Rear Surrounds and in-ceilings for the Dolby Atmos height channel. A 12” Sub handles the low end. The room is fully carpeted and features our motorised leather recliners, these are finished in a Ferrari White that would look just at home in one of their cars as it does in this home theater. A starfield gives the ceiling some depth and interest, and it’s all controlled with a one-touch remote control. Really looking forward to firing this up for the owners, it’s going to be a lot of fun. Eddie Murphy’s old house is up for sale and going to Auction later this month when it’s expected to fetch around $10 million at sale. Eddie Murphy made his name in performances in 48 Hrs., the Beverly Hills Cop series, Coming to America, Trading Places, and The Nutty Professor and Dreamgirls. His work as a voice actor includes Thurgood Stubbs in The PJs, Donkey in DreamWorks' Shrek series, and the Chinese dragon Mushu in Disney's Mulan. As of 2014, Murphy's films have grossed over $3.8 billion in the United States and Canada box office and $6.6 billion worldwide. The sprawling property is located in Granite Bay, which is near Sacramento,California, and only an hour drive from San Francisco. Eddie’s former Home also features a 500sqm Guest House, Arcade, Tennis & Basketball courts and a huge home Gym. 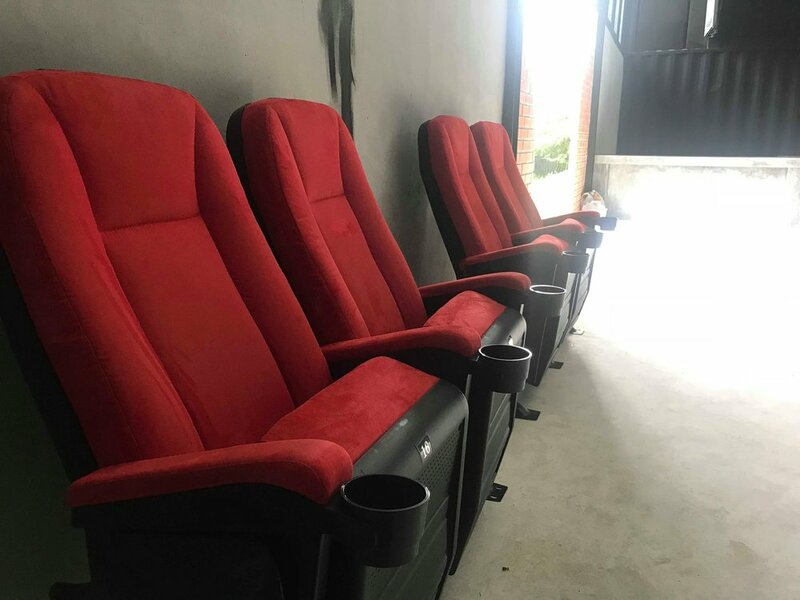 The Home Theater features plush purple velvet and has a very Art Deco theme, interestingly the seating is arranged in a semicircle facing the cinema with additional seating on the edges of the room. It’s looking a little dated now so I’m sure it could do with an upgrade, how great would a starlight cinema look in that ceiling? Eddie Murphy’s old Home Cinema feels very 90’s - I’m sure the new owners will want to update. IMAX in Partnership with DTS Audio has announced a certification program that will bring the unrivalled IMAX audio and visual quality to home theatre, living rooms and home cinemas around the world. Much like the lauded THX certification, IMAX in conjunction with DTS will officially certify devices from TV, Soundbars, Stereo, Speaker and Amplifier manufacturers that meet or exceed their tough standards. IMAX Corporation (NYSE: IMAX) and audio leader DTS®, a wholly owned subsidiary of Xperi Corporation (Nasdaq: XPER), today announced a new partnership for the next-generation of home entertainment with the launch of the IMAX® Enhanced program. The new certification and licensing program combines the highest-end consumer electronics products with IMAX digitally re-mastered 4K HDR content and DTS audio technologies to offer consumers a new level of quality in immersive sight and sound experiences for the home. Illustrating the breadth of the initiative, the companies also announced that a number of global consumer electronics and entertainment market leaders have joined the program as launch partners, including Sony Electronics, Sony Pictures, Paramount Pictures, and Sound United – parent company to Denon and Marantz. IMAX and DTS developed the program out of their decades of combined expertise in image and sound science to make it easier for consumers to select the products and content that will deliver the highest-quality, sharpest 4K HDR images and powerful, immersive sound at home. The companies are designing an IMAX Mode for the enhanced devices that will be meticulously optimized to play digitally re-mastered content as the filmmaker intended in the home. The program will use the newest, proprietary post-production process developed by IMAX to digitally re-master content to produce more vibrant colors, greater contrast and sharper clarity. The companies will also partner with award-winning Hollywood sound mixers to use a special variant of its DTS:X codec technology integrated in home audio equipment to deliver an IMAX signature sound experience. This brilliant advert from Rema (A supermarket chain in Norway) shows that it's not always smooth sailing when you are the owner of a Smart Home. With Amazons Alexa, Googles Home and Apples Siri and Homepod technologies it's now easy to control your homes lights, sound system, music, heating and air conditioning and even your front door with you voice. In the advert the owner of a very suave, modern, smart home is seen walking downstairs, turning his music system on and listening to Jazz, he then asks his Smart Home to make him a Smoothie, checks his calendar, turns the fire off and opens the front door all with his voice control. The smart house has even reminded him of his Dentist appointment later on that day. 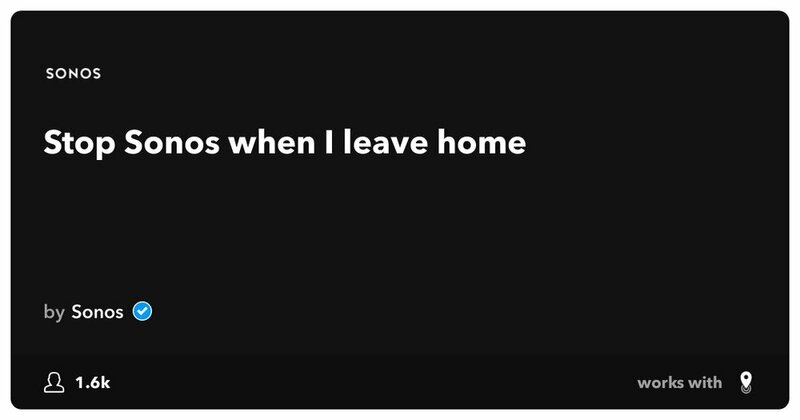 There perhaps is one thing that our smart home owner hasn't thought about though. Harmon Kardon, the manufacturer of home audio products since 1953 and more recently bought out and now owned by Samsung, took time at the IFA Show in Berlin to release their range of SONOS rivalling smart home speakers. Their range launched under the CITATION name includes a whole suite of speakers, soundbars and a subwoofer. All feature voice technology from Google Assistant and support Chromecast, Bluetooth, and Wi-Fi for multi room music. The voice controlled smart speaker range starts with the CITATION ONE (aimed squarely at Sonos ONE) then the CITATION 100, 300 and 500 series - The 300 and 500 series feature touch screen LCD displays showing album cover art and enabling play, pause, volume control and FF/RW. There is also the CITATION bar and sub and even a pair of Floorstanding Speakers all featuring Google voice technology and able to sync throughout your home for music everywhere - although no outdoor speakers have been included in the series, note that SONOS also hasn't launched a waterproof or outdoor speaker yet - something that's possibly a bit harder to implement as these speakers need to be powered with a plug and power socket whereas traditional outdoor speakers are waterproof and wired back to a central amplifier indoors. It's great to see more and more companies, especially of this pedigree and with the backing of electronics GIANT Samsung getting into the smart speakers game. To my ears though all of these smart speakers aren't anywhere near the quality of sound a traditional pair of speakers wired up to a seperate amplifier would give, but that's the trade off. I do wish that they would have launched a separate amplifier that featured the same CITATION technology so that people could make that choice if they wanted a higher quality sound.